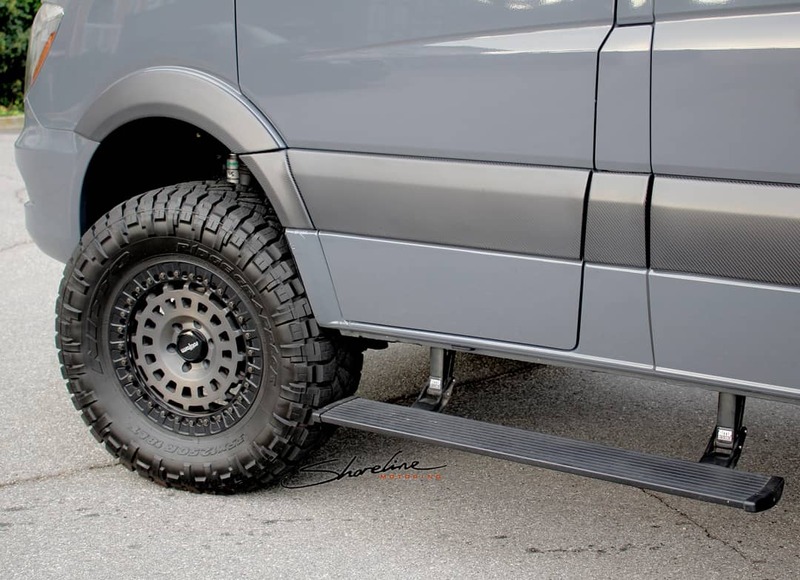 Our personal and built in house 4x4 Sprinter features a 2" Van Compass lift with dual Fox shocks, custom built Rotiform forged wheels wrapped in 35x12.50r18 Nitto Ridge Grappler tires, has color matched bumpers, Shoreline carbon fiber side panels, fender flares and door handles, driver and passenger side power steps, Aluminess ladder, 360 degree camera's, full custom luxury interior and enough solar power to keep it off the grid for a while. 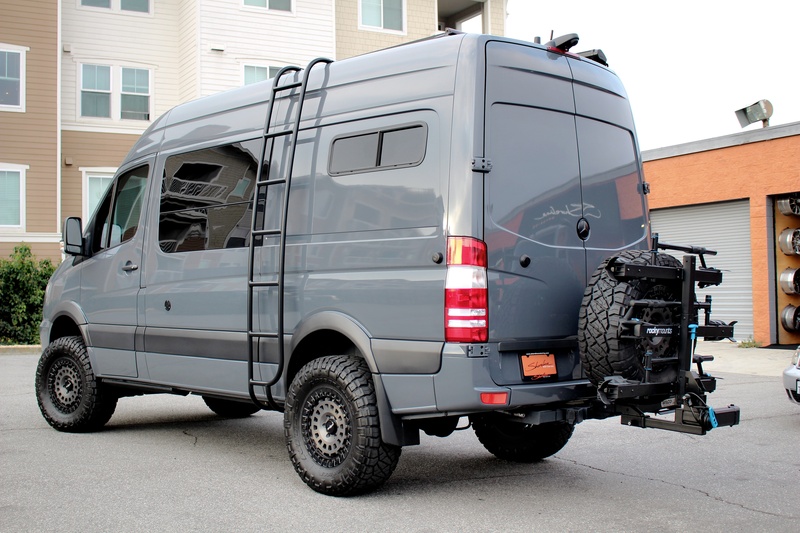 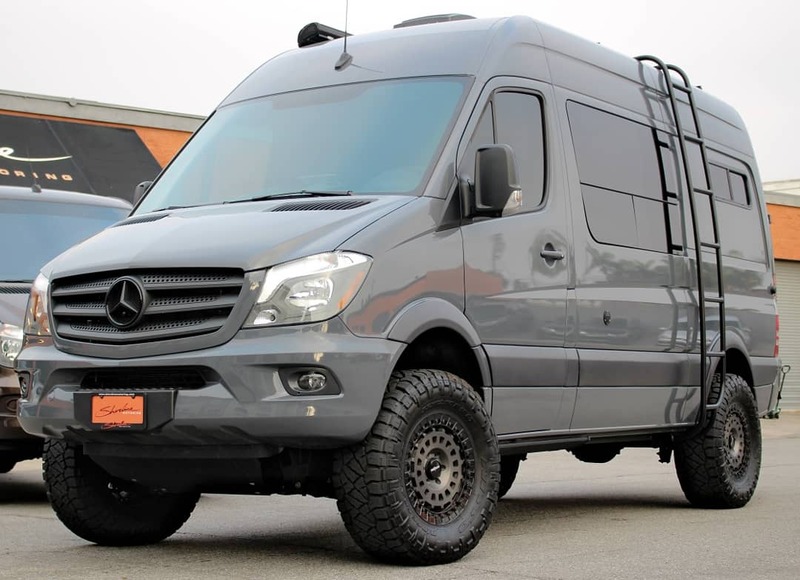 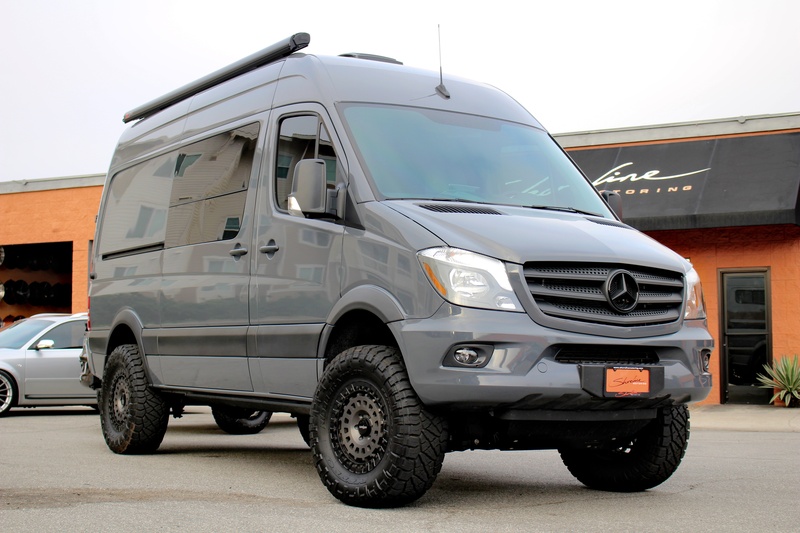 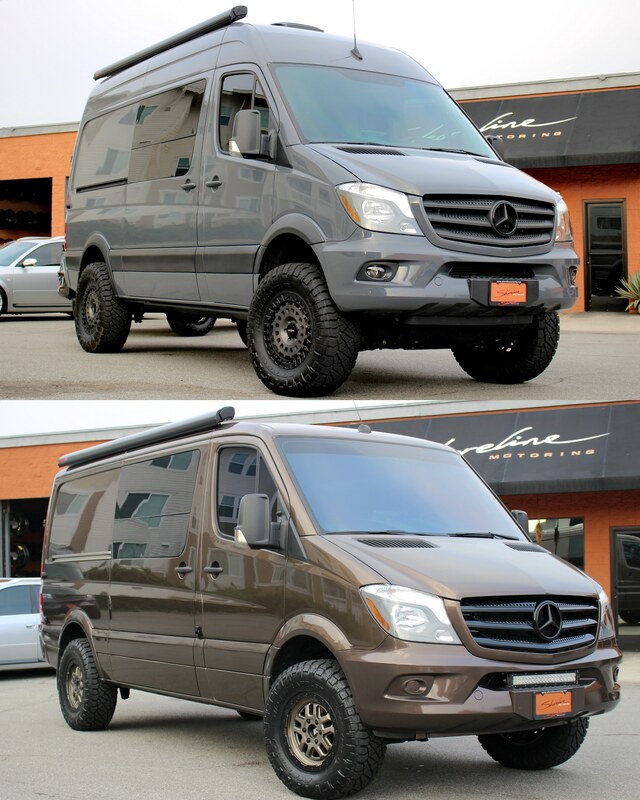 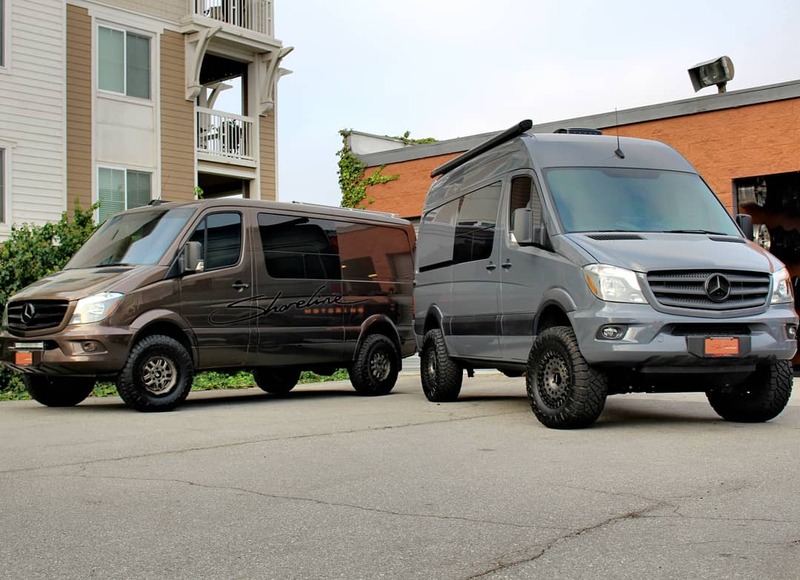 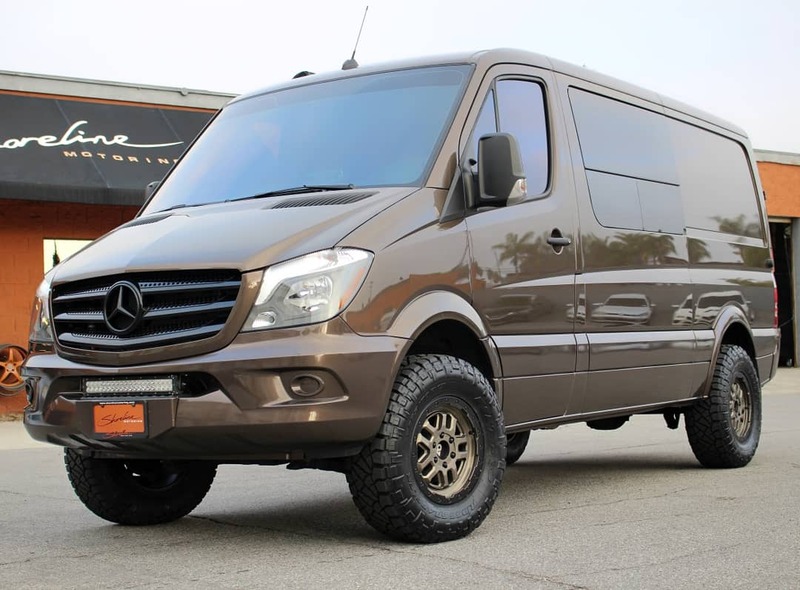 Our personal built in house 4x4 Sprinter features a 2" Van Compass lift with dual Fox shocks, custom built Rotiform forged wheels wrapped in 35x12.50r18 Nitto Ridge Grappler tires, has color matched bumpers, Shoreline carbon fiber side panels, fender flares and door handles, driver and passenger side power steps, Aluminess ladder, 360 degree camera's, full custom luxury interior and enough solar power to keep it off the grid for a while. 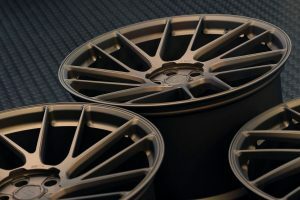 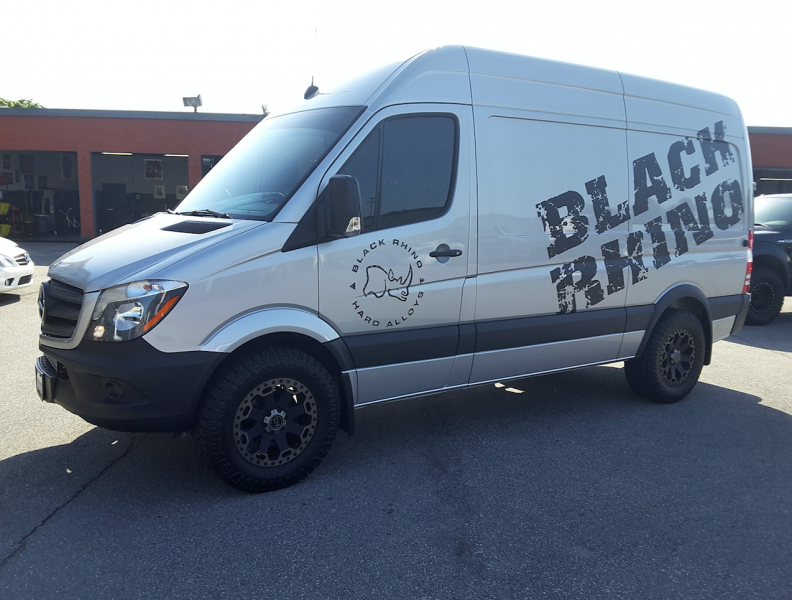 18" Black Rhino wheels with Toyo tires, color matched body trim, ceramic window tint, PedalBox performance upgrade and a few other custom upgrades. 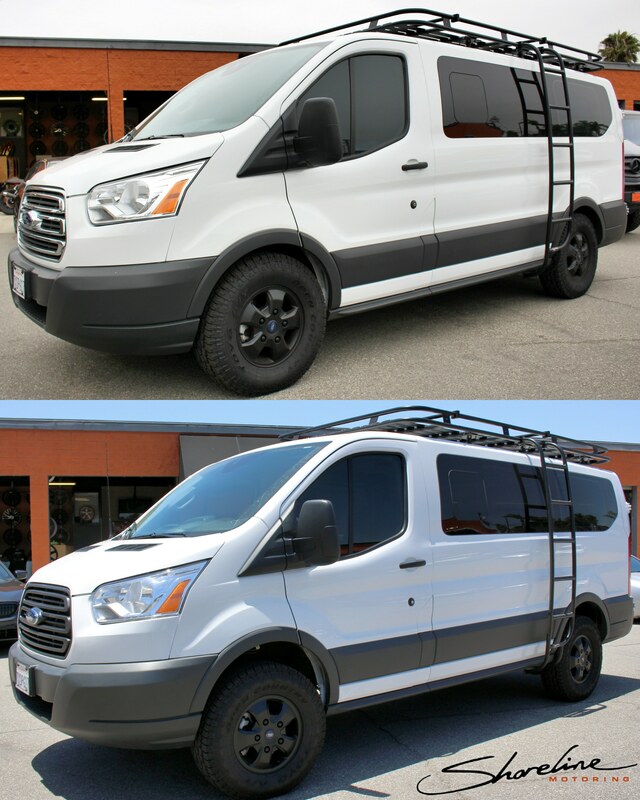 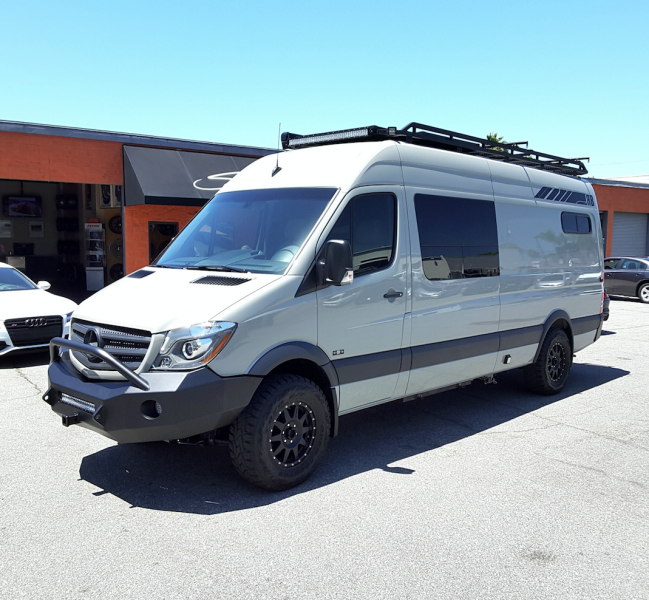 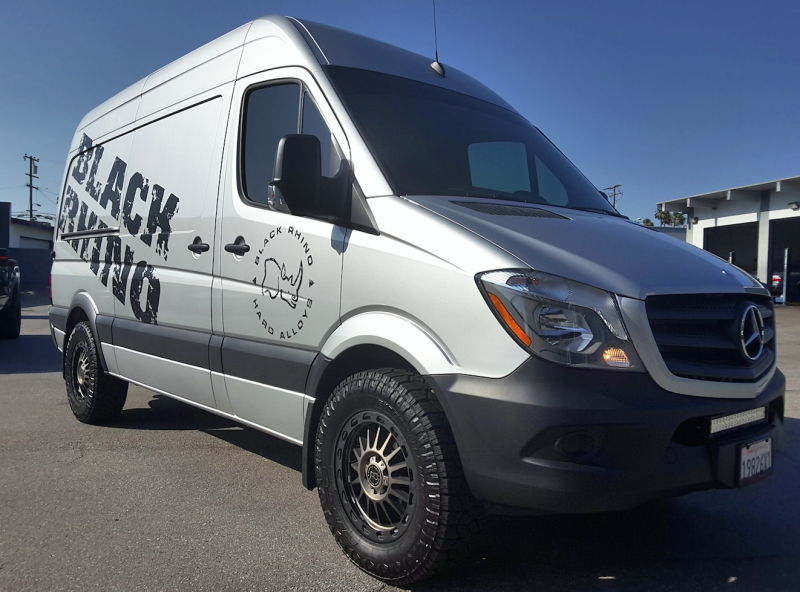 Black Rhino Sprinter in for 18" Taupo wheels, Nitto tires, ceramic window tint, LED light bar and PedalBox performance upgrade. 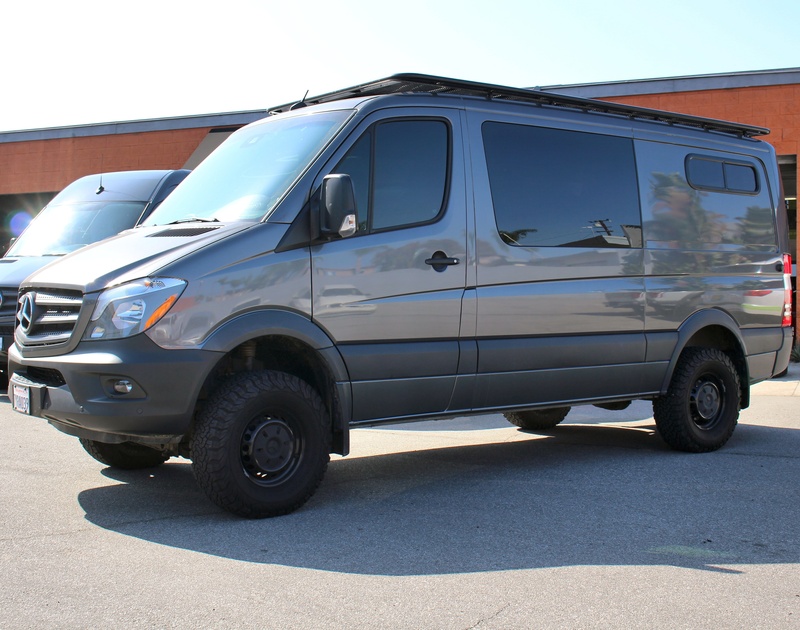 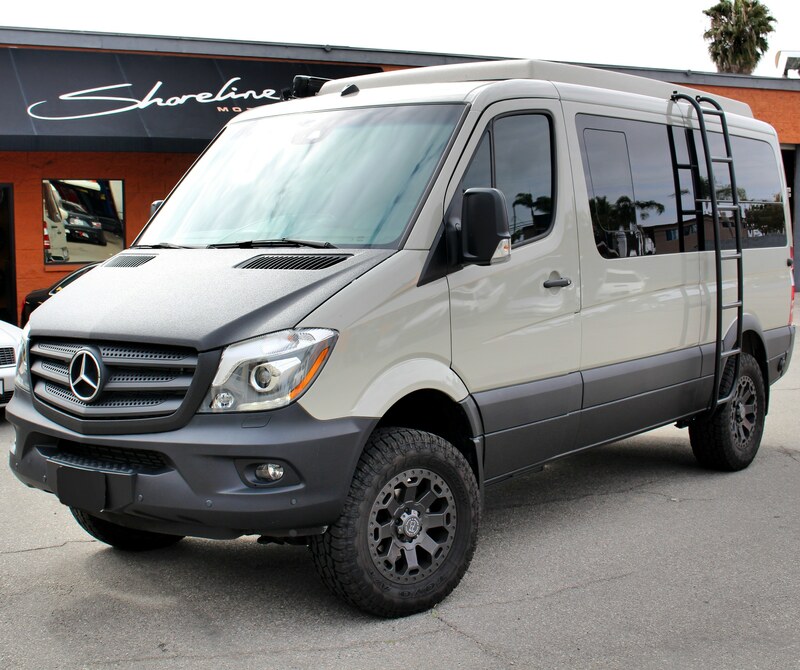 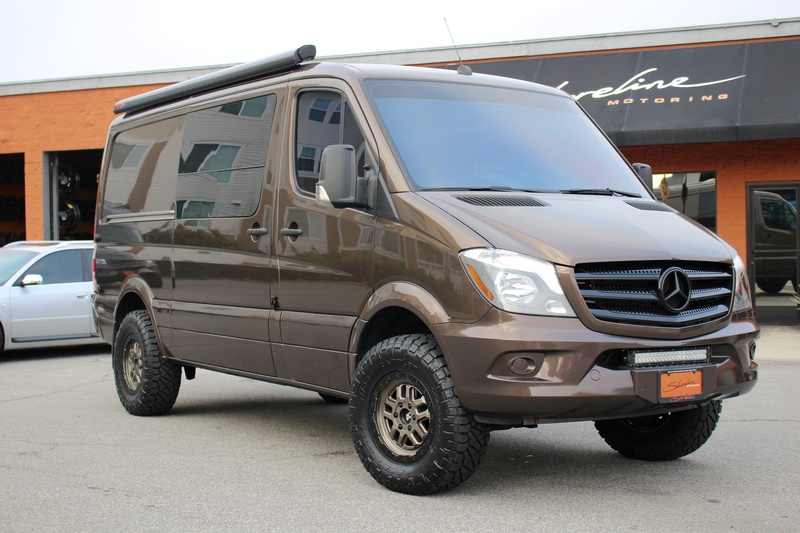 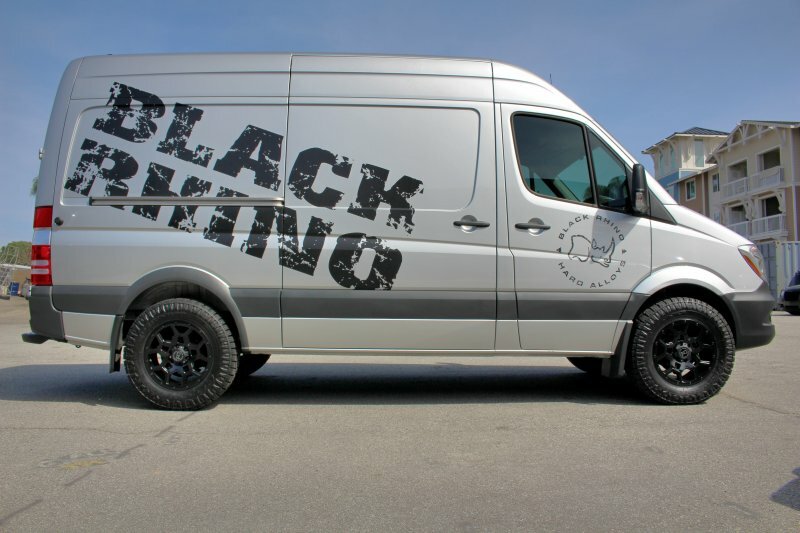 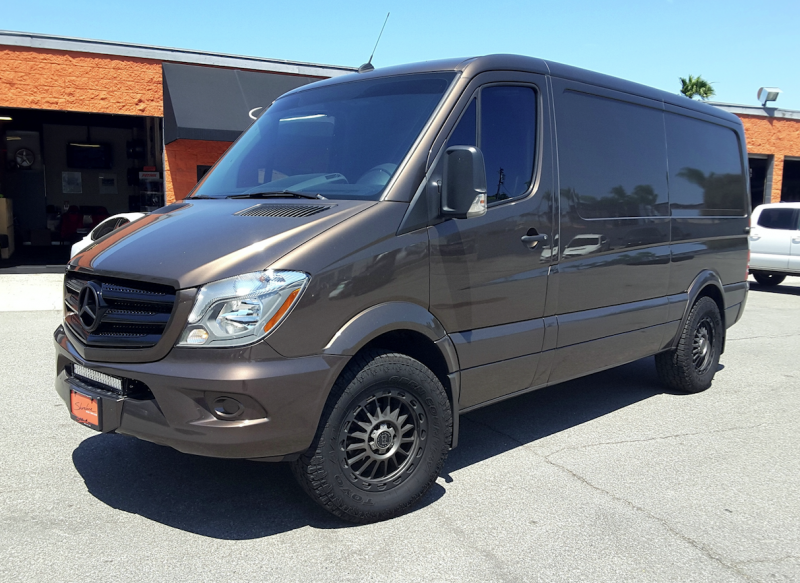 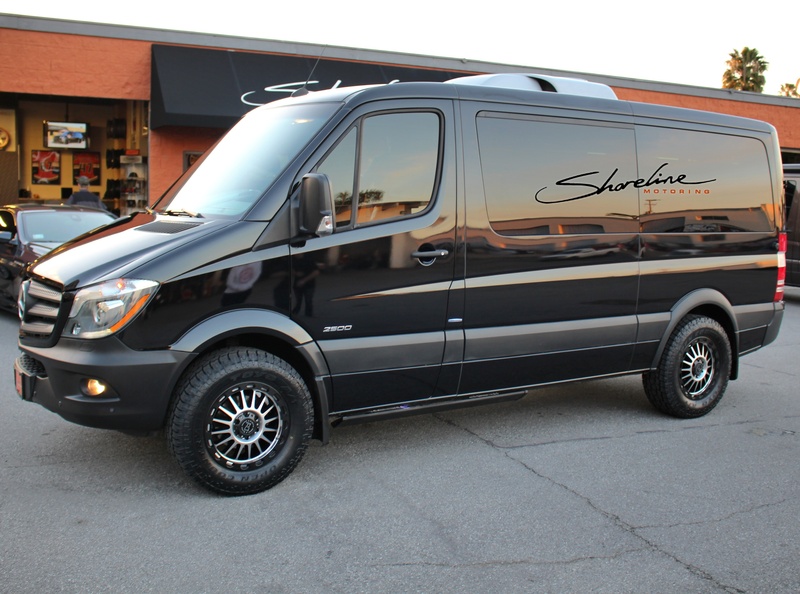 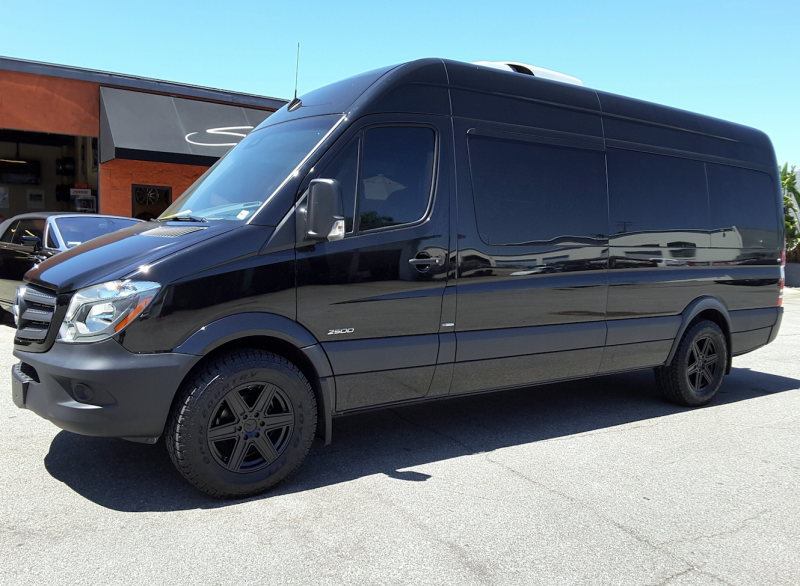 Black Rhino Sprinter in for 18" Warlord wheels, Nitto tires, ceramic window tint and PedalBox performance upgrade. 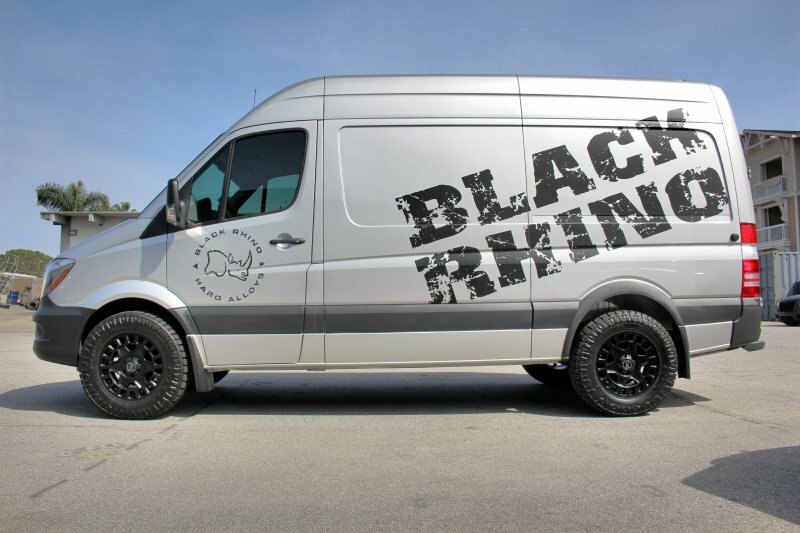 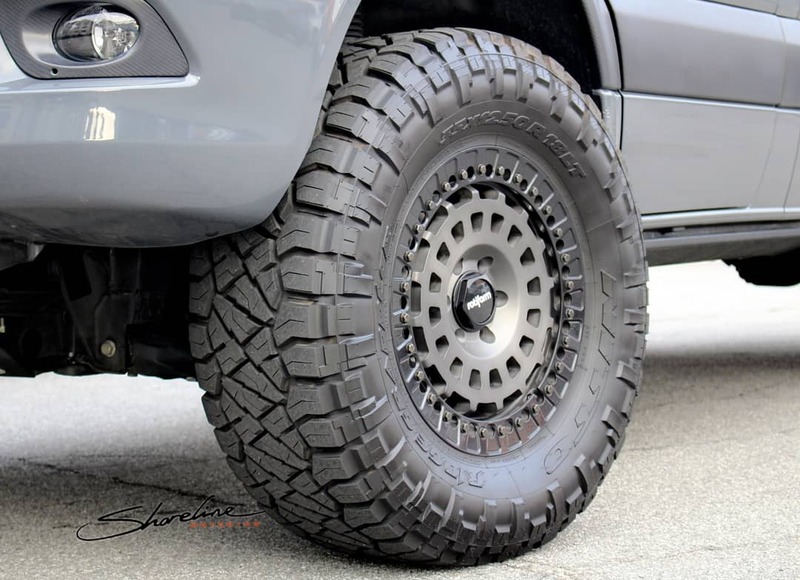 The Black Rhino Overland in 18"